Our nation is raped by those meant to protect her. Shaking from the blood that runs down her legs into the soil. The soiled promises of a new democratic South Africa. They lure her in the dark. Good night, sweet mother of all. 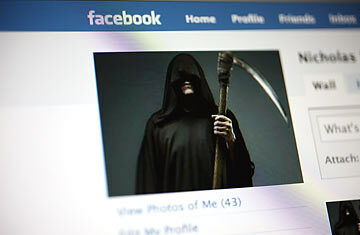 GRIM REAPER = Grim realization the dead friend isn’t reading these posts. We were close at varsity; but, with most friendships, ours had its moments of distance. Sadly, I am one of those that live by the rule: “Out of sight, out of mind.” Facebook has made me a lazy friend. I used to phone and message people regularly, but now that most people advertise their lives, I don’t see the point. The ones I see the most are the ones that are the least active on Facebook. 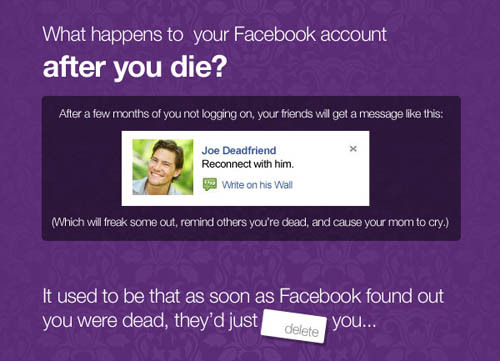 RIP: What happens to your social media post-death? I thought I was doing an okay job: every time my friend checked in somewhere, I liked it. Every time he posted a photo of himself with a new award, I liked it. I had no idea he was lonely. He was the soul at every party. As most of us know, social media gives us a false sense of belonging and of knowing everyone’s business. An old school pal messaged me the other day: “Wow… You really are a terrible friend…” “Huh?” was my automatic reply. “You never message me. Guess where I am? A mental institution.” I had no idea, through all her beautiful photos of her children, the thought never even crossed my mind. Like most, she had been posting blissful photos to hide her extreme pain. After we die, our social media carries on quite the same, except suddenly people who never spoke to you for the last five years, start reaching out. TOO LATE. Everyone messages more: on your birthday, special days you shared and the anniversary of your death. SCARY. WHO AM I? Does Facebook give a false sense of popularity? It’s time to realise that in a time of so much communication in the form of Whatsapp, Skype, etc, people have actually never felt more alone. Touch is what we need, not a “like”. A cup of coffee is what we crave, not “a selfie.” A genuine “How are you?” beats a “What you up to tonight?” In fact, social media is anything but social. It causes us to shut down when trying to have real conversations, it allows us to become cyberbullies on difficult topics like religion, race or politics, it causes us to be quite narcissistic with an array of selfies and holiday snaps. “How are you feeling today?” asks my Facebook daily, not even my virtual friends. Has Facebook replaced my life book, become my journal, a place where I actually write for and to myself mostly? Are my virtual friends still my real friends and vice versa?